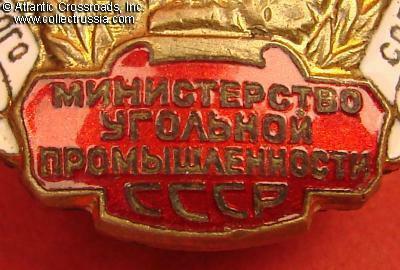 Badge for Excellence in Socialist Competition, Ministry of Coal Mining Industry, Type 2, early 1950s. Gilded brass, enamels. 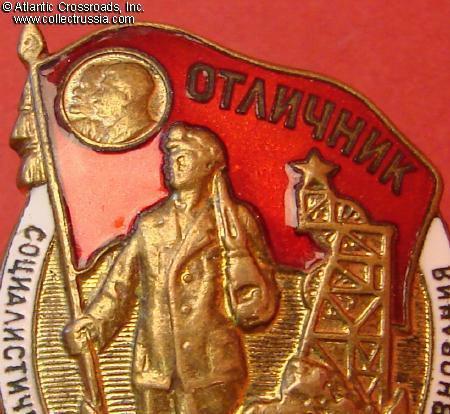 33.8 mm tall (from the bottom to the top of the banner), 24.8 mm wide. 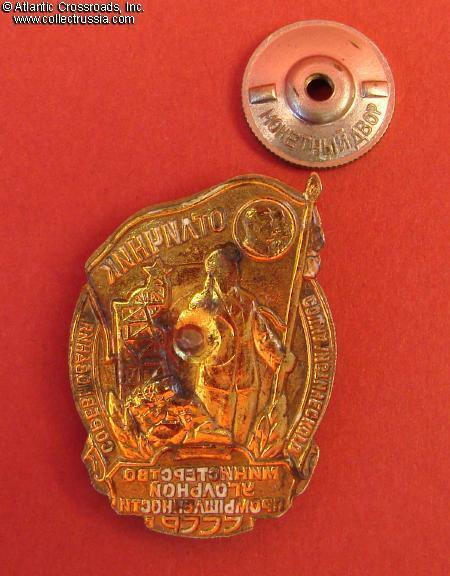 The design is similar to the more common 1948 badge (a worker with pneumatic hammer) but the badge is smaller and has more elaborate enamel work. 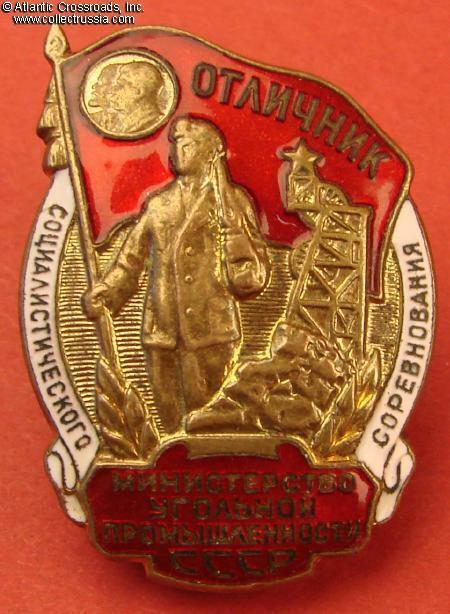 Unlike the latest version of the badge, it still shows portraits of Lenin and Stalin (that presumably changed in as early as 1953, according to the "Badges of Distinction of the Industries, 1934-1991" by Zak et al (C. Ekaterinburg, 2005). Excellent condition. Beautifully preserved enamels and details; much of the fire gilt finish is present. The screw post has been reduced for convenience but is still fully functional. Comes with original maker marked screw plate.